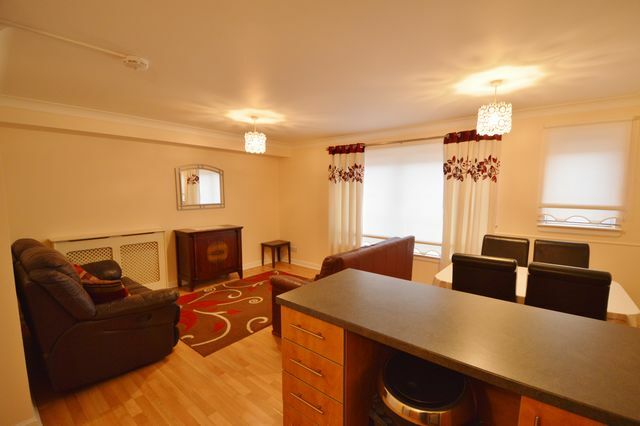 Modern ground floor flat within walking distance of the city centre in well maintained block. The property comprises modern open plan living room kitchen with breakfast bar through to bright living/dining area, two double bedrooms, master with stylish ensuite shower room and a family bathroom. Further benefits include residents parking, gas central heating and double glazing. Secure entry. The city centre is accessible by public transport in ten minutes and literally on your door step there are many shops, cafes and transport links. There is also access to the M8 motorway close by. This flat would be ideal for anyone working in Glasgow's Royal Infirmary which is a 10 minute walk away.